If you've ever wondered what it's like to ride a high-end high performance Santa Cruz bike, now's your chance. 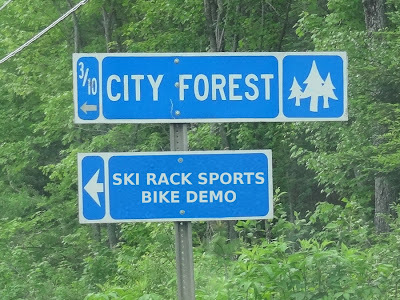 On Sunday, July 8th from 12pm-5pm Ski Rack Sports is sponsoring a test-drive of Santa Cruz's best bikes at the Bangor City Forest. If trail riding is not your style, then stop by the in-town store on Longview Drive from 11-6pm for a BBQ and 10% off everything in the bike shop. For more info check out the Ski Rack Sports website and their Facebook event page.